On today’s blog, we will discuss the signing habits of the great comedian, Jerry Lewis. Mr. Lewis is without a doubt a comedy icon. No matter how you feel about his movies, nobody can deny his status as a legend in his field. When it comes to his signature he is very hot and cold. Over the past 30 years I have seen him act cold and abrupt when interacting with collectors asking for his autograph. On many other occasions, I have witnessed him as a gracious celebrity willing to bend over backwards to grant requests. This includes signing multiple items, posing for pictures and having many pleasant discussions. The message here is simple, celebrities are just like us in the fact that they have good and bad days. 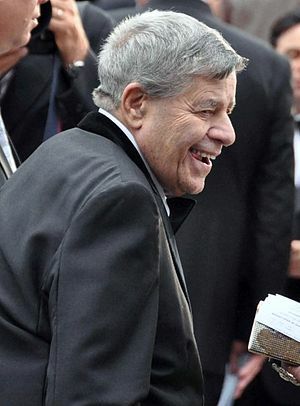 Jerry Lewis on a good day is unbelievable! On a bad day, not so much. Thank you for reading today’s blog. As always, please check out my autograph web store www.autographedfirstdaycovers.com. This entry was posted in Uncategorized and tagged Alan Alda, Arts, Autograph, Collecting, Jerry Lee Lewis, Jerry Lewis, Record Store Day, Recreation. Bookmark the permalink.